Buying or Selling a home is an exciting adventure which may only come a few times in a person's life. Understanding the process and the steps which need to take place and in what order, becomes critical to facilitate a successful Real Estate transaction. Our team works with every purchaser or seller from inception to completion of the process. We set forth an action plan to identify our clients needs regardless if they are buying or selling. 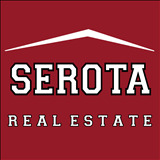 At Serota Real Estate we put customer service above all else, this is why our clients routinely utilize our services for multiple transactions. We look forward to building lasting relationships with every client! If your currently looking to purchase or contemplating selling, please allow yourself to consider a different type of brokerage, where the client truly comes before all else! Listing courtesy of Principle Real Estate, LLC. Listing courtesy of New Light Real Estate Inc.